If your PPC campaign strategy is not really bringing you the results you desired, it might be time to completely revamp and reinvigorate it. What worked six months ago might not work now, so taking the time to examine your campaign and decide whether or not you need to make changes to it could seriously improve its efficacy and could continue to bring you new clicks and new conversions. PPC is one the fastest and easiest ways to get a link to your website on the first page of Google. With the right keywords and the right copy, the return on investment for this type of marketing is astronomical. Too many people set up a campaign and let it falter. They either do not give it the time that it needs or they set up a campaign that succeeds, but are then reluctant to make any changes to the structure of the campaign in order to make it work even more effectively. Your PPC campaign needs to be revamped because it is probably not achieving its full potential. There is no such thing as a marketing strategy that needs no maintenance, but pay-per-click marketing probably needs more maintenance than most. If you haven’t looked at your campaign recently or it is performing okay but could be performing better, there are a few simple things you can do in order to reinvigorate your campaign and get the results you want. Completely revamping your campaign may not mean that you have to just kill your old campaign and start from scratch (though, if you haven’t been checking up on and maintaining your campaign for a few months, this absolutely might be necessary. Hopefully, over the last few months, your profits have increased, likely as a result of your PPC and other marketing campaigns. 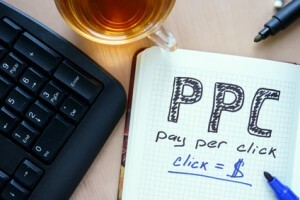 If this is the case, you should consider increasing your PPC budget. A larger budget means more ads, more clicks, and higher returns. For some campaigns, having a small budget is the only real problem, and getting more exposure is as simple as bumping up your budget. Do your ads have calls to action? If they do, are they effective? Are they immediate, persuasive, and do they appeal broadly? Writing a great call to action is not easy, but having a great one can make all the difference. When assessing a call to action or writing a new one, considering the following criteria: Is it interesting? Does it expire (have immediacy)? You want a call to action that meets all of these criteria. Never have your PPC ad click through to your home page. Your ads are probably presenting a specific product or deal. Even if they aren’t, they offer more specified information than is available through your homepage. You need landing pages that are targeted towards the searchers who click through each ad to investigate your website. This allows you to provide a more tailored experience (and more tailored information). Take a look at your landing pages and determine whether or not they are fulfilling that purpose. It can be painful to get rid of old keywords that you’ve worked hard to build ads for, but if they just aren’t performing, it is something that you absolutely must do, and do it quickly. Stop wasting your time on keywords that don’t work. Look for new, more effective keywords that will bring you clicks from people who are more likely to be interested in what you have to offer. A campaign that uses the wrong keywords will fail. A campaign that uses the right keywords is more likely to succeed. How are you tracking the efficacy of your campaign? If you don’t have effective tracking tools, you might think your campaign is less profitable (or, even worse, more profitable), than it actually is. You want to know exactly which keywords are performing, which ones are bringing you the most conversions, and which ads for which keywords are working the best. This, along with the other information that PPC campaign tracking tools can bring you will ensure that you know exactly where you need improvement and even what improvements you can make. Are you testing the changes that you make? The last thing you want to do is make changes willy-nilly with no way to track how effective (or ineffective) those changes are. You can do this easily through a system of split testing. This means that you change an ad, but you also keep using the older version of the ad. You then see which of these two ads performs best. The best-performing ad is the one you should keep, whether it was the one you changed or the older version. One of the biggest and most common mistakes people make with pay-per-click advertising is to choose keywords and create ads that attempt to appeal to too broad a spectrum on consumers. Like with all types of advertising, this will just present a watered down version of your offer that no one actually wants. Target your specific niche, instead of creating something broad and bland.